Sephora Spring Sale Event is coming up! If you're a beauty insider, depending on your level of membership you can save up to 15% off your purchase! Sephora rarely has sales so this is a great time to pick up some luxury cosmetics, skincare, haircare etc at a discounted rate! Offer is valid on all purchases online and in-store during this shopping event. Present email or mailed invitation to use in-store, or enter the appropriate promo code from above to shop online. Please note the different start and end dates above too. 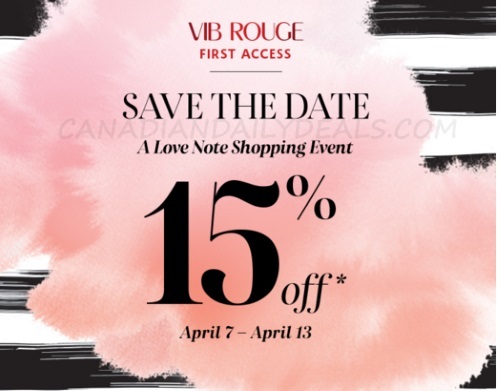 Also, VIB Rouges (and if they bring a friend to shop with them can get it too) get a Free tote with purchase as well on the first day of the sale, Thursday, April 7, 2016.